Abdelbaset al-Megrahi was convicted of killing 270 people in the 1988 attack. The family of the Lockerbie bomber is making a third bid to clear his name. 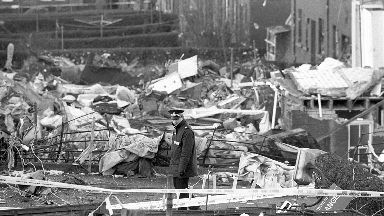 Abdelbaset al-Megrahi is the only person to have been convicted of the 1988 attack over the Scottish town, which claimed the lives of 270 people. But his family and the families of several victims believe that the Libyan, who died in 2012 after being released from prison in Scotland, is innocent. On Tuesday morning they lodged papers with the Scottish Criminal Cases Review Commission (SCCRC) seeking a third appeal over Megrahi's conviction. 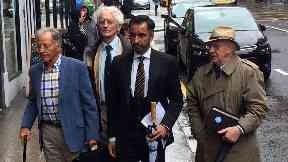 Solicitor Aamer Anwar said: "It has been a long journey in the pursuit for truth and justice. "When Pan Am Flight 103 exploded over Lockerbie on December 21, 1988, killing people from 21 countries, it still remains the worst terrorist atrocity ever committed in the UK and 28 years later the truth remains elusive." 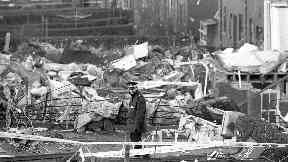 He was joined in Glasgow by Dr Jim Swire, father of victim Flora Swire, and reverend John Mosey, whose daughter Helga also died in the bombing. However, Bob and Eileen Monetti, parents of victim Rick Monetti, said the appeal should not go ahead. 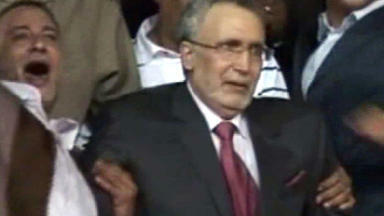 "The trial settled everything: there's no question that Megrahi was guilty," Mr Monetti said. "The first appeal was comical, the second appeal was abandoned by Megrahi; so enough already." Mrs Monetti added: "In America we have a saying: 'three strikes and you're out', and I kind of feel like we're at that point. "I don't know how much longer you can continue these appeals and I have to wonder does Mrs Megrahi living in Libya really care at this point, or is there some other factor behind it? I don't know." Megrahi's supporters believe he was the victim of a miscarriage of justice and have previously claimed the bombing was ordered by Iran in retaliation for the downing of an Iranian airliner in 1988 which killed 290 people. They say it was carried out by a Syrian-Palestinian group who escaped justice. Mr Anwar said: "The reputation of Scottish law has suffered both at home and internationally because of widespread doubts about the conviction of Mr Al-Megrahi. "It is in the interests of justice and restoring confidence in our criminal justice system that these doubts can be addressed." In a statement released on Tuesday, Megrahi's son, Ali, said: "The launch of the application for an appeal on behalf of the Megrahi family is a milestone on the road to prove that the verdict against my father was unsafe. "When my father returned to Libya I spent most of my time next to him and had the opportunity to talk to him as much as possible before he passed away. 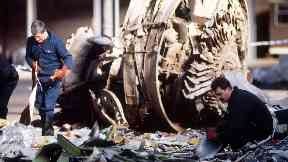 "I am 100% certain that he was innocent and not the so-called Lockerbie bomber." Gerard Sinclair, chief executive of the SCCRC, said the case would be given "careful consideration". Megrahi: Died after being released from prison. Megrahi lost an appeal against his conviction in 2002 but concerns about information provided by a key witness during his trial led to another appeal in 2007. 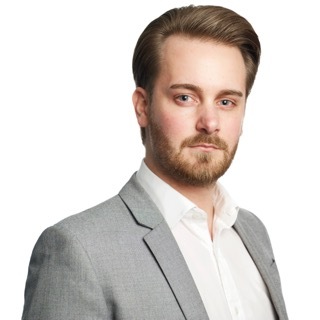 The Scottish Criminal Cases Review Commission referred the case back to the appeal court, having decided there were six grounds which raised doubts about the safety of the case against him. They raised concerns about the date when the clothes were said to have been purchased, Gauci's identification of Megrahi, and whether he had received a reward from the Americans for giving evidence against the Libyan. Megrahi dropped his second appeal in 2009 after he was diagnosed with terminal cancer. Megrahi, who remains the only person to be convicted of the bombing, was released by the Scottish Government on compassionate grounds in August 2009. 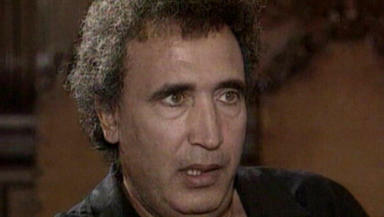 Megrahi returned to Libya where he died in May 2012.